ALWAYS MAKE RIVER TIME FUN! THE ONLY RIVER TRIP FOR AGES 4+! 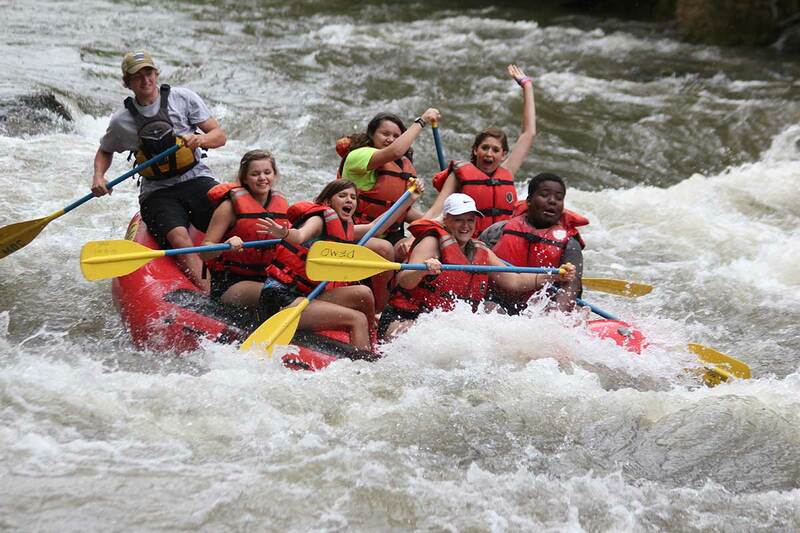 Tuckaseegee River Rafting Fun in the North Carolina Smokies! Choose a professional guide if you’re a first time rafter. Already know how to paddle? Captain your own raft! Solo and Tandem inflatable kayaks are huge fun! Smoky Mountain River Adventures is ready to help you have your the best day ever in the North Carolina Smokies. Visitors and locals alike love to spend a gorgeous summer day playing, paddling, floating and splashing on the friendly Tuckaseegee River. Perfect for first timers, groups and families thanks to gentle rapids (Class 1 and 2) and easy river access. 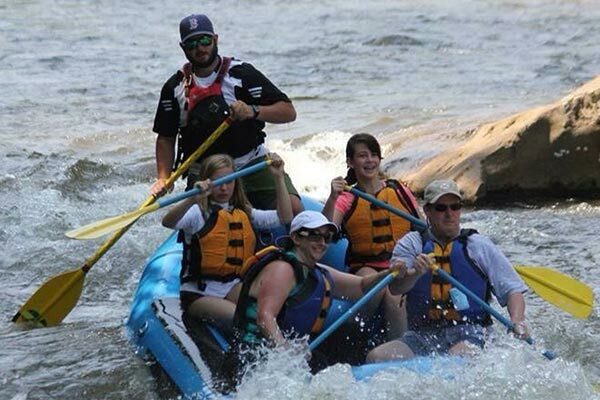 Our rafting center is located in Whittier, NC, only minutes from Cherokee, Bryson City, Dillsboro and Sylva, NC. Learn more about us. 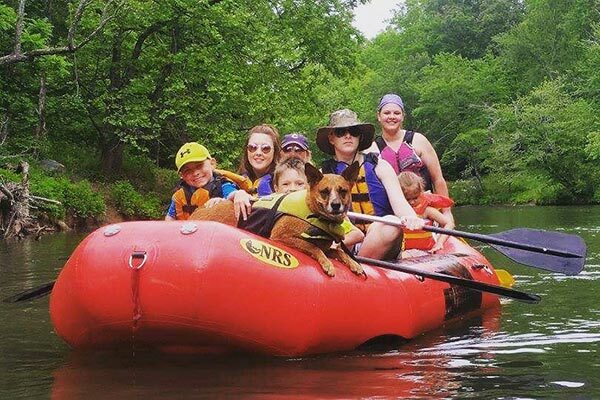 Tuckaseegee River rafting trips are the only river trips in the North Carolina Smokies for kids as young as 4 years old! Let’s go rafting! Are the beautiful North Carolina Smokies calling you to visit? MInutes from Great Smoky Mountains National Park, there are so many fun adventures to explore. 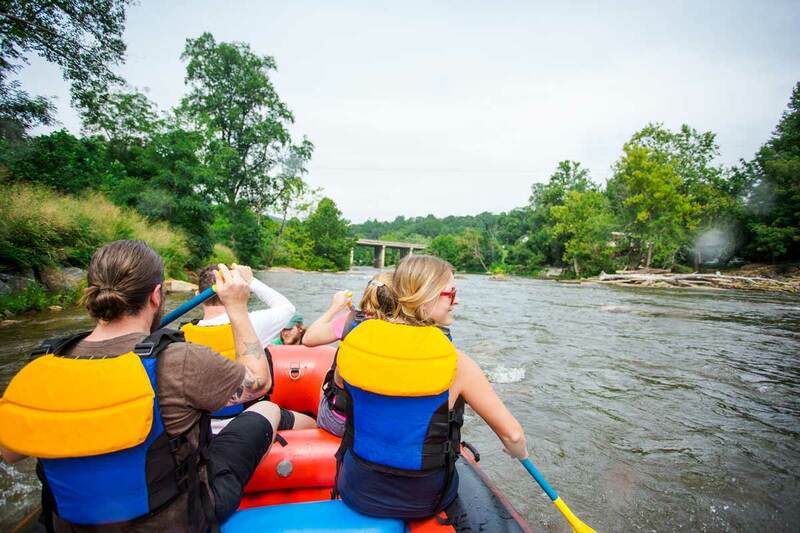 Tuckaseegee River rafting is one of them! Learn more. Sunshine, jump rocks, water fights, and non-stop laughter – yep that’s what kids love! 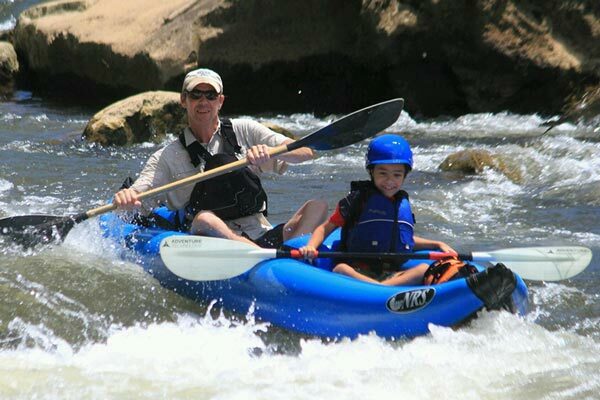 Be an adventure hero, introduce your kids to the huge fun of Tuckaseegee River rafting. Learn more. 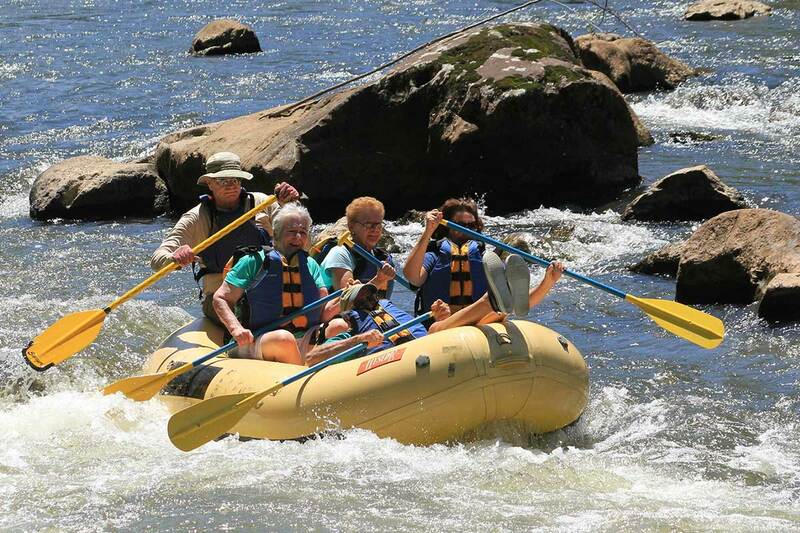 At Smoky Mountain River Adventures, we specialize in family-friendly rafting. We're here to help you and your family and friends have an awesome day on the Tuckaseegee river in the NC Smokies.